Scandinavia came to Dallas on Tuesday, May 5th, when Nightwish, Sabaton and Delain invaded The Bomb Factory. And by the turn out you would have thought it was a weekend. Devoted fans poured into the building, packing it to the brim and ready to rock hard despite it being in the middle of the week. 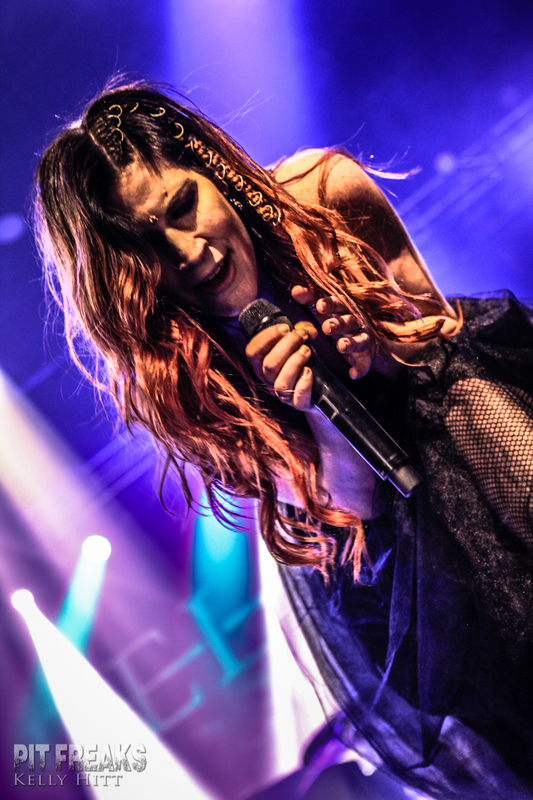 Dutch symphonic metal band, Delain, started things off with “Mother Machine” and the crowd responded instantly. Though the band did only about five songs, it was still a fantastic set and the band was tight. They were joined, much to the delight of the fans, by Marco Hietala of Nightwish for “Sing to Me”. 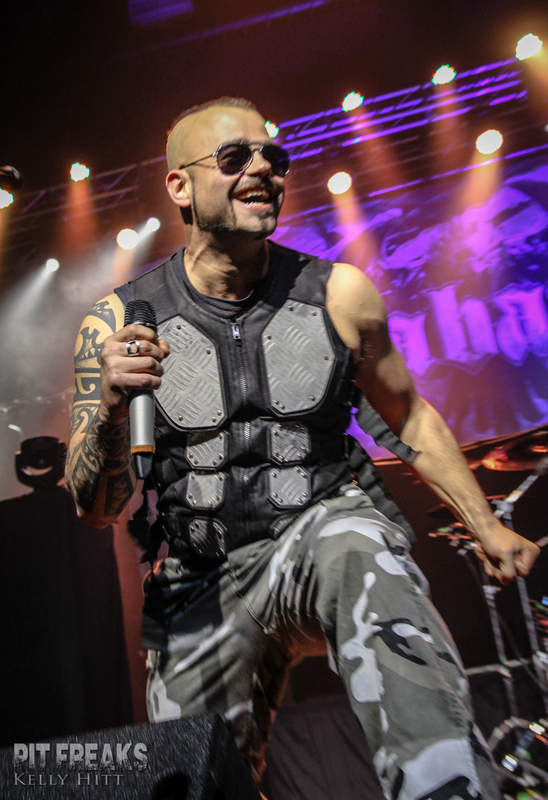 Marco had featured on the song for the album and stressed that he was excited to finally be able to join Delain on stage. Though Nightwish was technically the headliner for the night, one might not have known that when Sabaton hit the stage. Clearly a huge portion of the audience was there just as much for the Swedish metal band as they were for Nightwish. Sabaton hit the stage with an insane amount of energy and their songs of battle and war brought the crowd to life with a roar. Sabaton seemed to be thoroughly enjoying themselves during their set, goofing off a bit with each other much to the delight of the crowd. 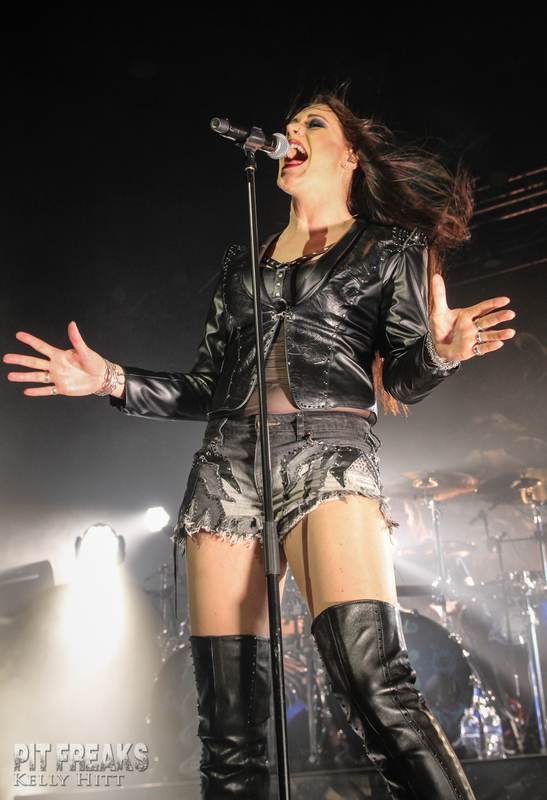 I’ve seen Finnish sensation Nightwish a few times over the years but this was the first time I’ve seen them with their newest vocalist, Floor Jansen. While each vocalist has brought something a little different to the mix, Floor has just the right bit of operatic and rock edge to her voice. She owned the stage and worked so well with the band it seemed like she’d been with them for years. While most of the set was taken from their newest album Endless Forms Most Beautiful, the band made sure to throw in some fan favorites such as “The Islander” and “The Poet and the Pendulum”. All three bands were incredibly tight and complimented each other perfectly. It was clear they were all having a grand time this tour and I couldn’t find a single thing at fault with the entire show. If you get the chance to catch this tour, definitely do. It just goes to show once again how amazing the music coming out of Scandinavia truly is.